To create new opportunities for communities through self-esteem strengthening. After the Second World War an increase in Brazil’s population led to rapid urbanisation leading to an added burden on existing healthcare systems and social inequalities1. The Community Systemic Approach identified communities that exhibit psychological suffering, addiction, social fragility and lack of empowerment and responded with therapeutic exercises to empower members of those communities and help them develop processes necessary to improve their quality of life. This approach is being implemented as a public policy approach in Brazil and Bolivia and builds on the concept of ‘autopoiesis’2: the ability of a system to reproduce and maintain itself. - Father Ottorino Bonvini, Psychiatrist and President Mental Health Community Movement (MSMC). 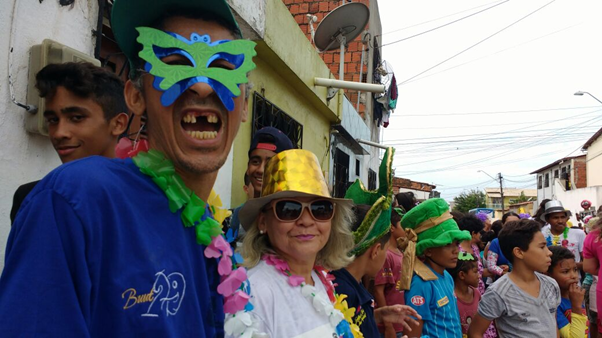 The Community Systemic Approach serves to expose people in the greater Bom Jardim area to new possibilities in overcoming internalized poverty. The approach is constructed through uniting popular community and scientific knowledge through social practices that promote self-actualization3. This multiple impact therapeutic approach addresses the whole human being, connecting the community, environment and the transcendent in a responsible and transformative manner. 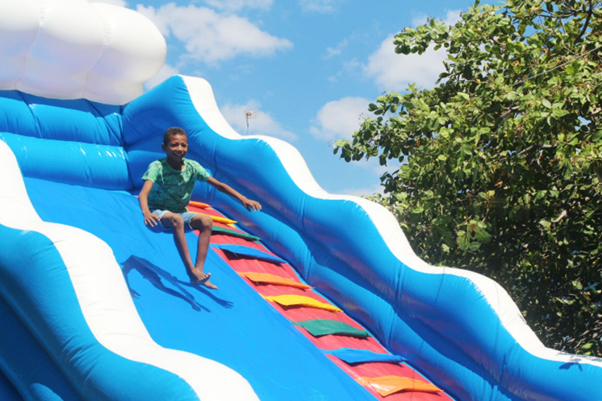 In less than two decades, this socio-therapeutic technology has already transformed and improved thousands of lives in the greater Bom Jardim area in Fortaleza and in Maracanaú and Pacatuba with the Pitaguary indigenous people. Internationally recognized, Bolivia has expressed interest in applying the Community Systemic Approach as a public policy capable of reinvigorating and improving lives. Self-Esteem Therapy: Self-Esteem Therapy develops intrapersonal and interpersonal communication by strengthening an individual's autonomy, dignity, and wisdom, which promotes active citizenship. A person’s self-esteem supports them to develop new skills to care for themselves, to assume their rightful place within the family, become an empowered and engaged member of society, and to positively transform their relationship with Mother Earth. Through various techniques, dynamics and complementary therapies, each participant improves their self-esteem, awakening their creative and participatory potential. Community Therapy: In community therapy group participants collectively develop the skills to better manage and solve their problems by assuming the role of a true protagonist in their lives. The community therapy groups encourage participants to assume their proper place in the construction of a more just and united society. This form of therapy is based on the principle of circularity, in which there are no victims and no perpetrators because everyone shares responsibility. 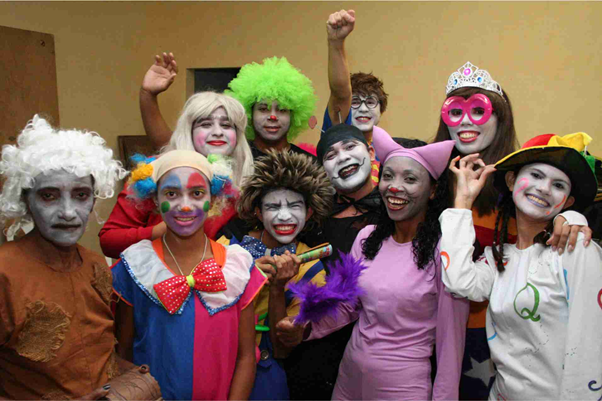 Today, there is a network of community therapy groups that serves thousands of people every month throughout Brazil. Yes to Life Project: The Yes to Life Project works on the Community Systemic Approach to serve high-risk children by preventing their initial exposure to drugs, violence, and human rights violations and developing their sense of agency as citizens. This project offers opportunities for youth to stimulate their multiple intelligences through involvement in arts, sports, and leisure activities. The Yes to Life Project encourages the full development of each person’s bio-psycho-social-spiritual dimensions. The Yes to Life Project has been recognized widely for its impact by the National Anti-Drugs Bureau (SENAD), and received honourable mention from the Queen of Sweden. The European Union, CBM International and the Federal University of Ceará are valued partners of this project. Bom Jardim Community Center for Psycho-Social Assistance (CAPS): CAPS is co-managed by the implementing organisation and the Municipal Health Bureau and contributes to the Community Systemic Approach by offering treatment for people with severe psychiatric problems and family support. With the objective to promote care and social integration, it was developed as an alternative to psychiatric hospitalization and is the result of the autopoietic process of active community participation and co-responsibility in public policy. Therapeutic Residence: Running since 2011 this approach serves psychiatric hospital patients who have been institutionalized for at least three years and have no contact with their families. Residents are welcomed into a new home where, with the support of community caregivers who are certified in the Community Systemic Approach, they find the opportunity to make ties and form friendships with their caregivers, their neighbours and the community at large. The residence offers its members care through various therapeutic activities, which encourage them to realize that it is possible to reconnect with their social and cultural reality and become integrated into their community. 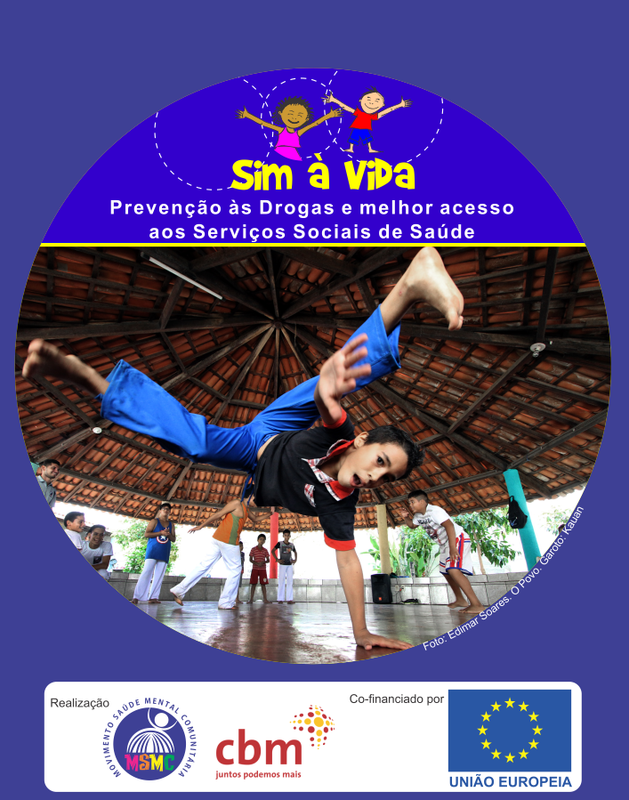 The Therapeutic Residence is also co-managed by the participating organisation and the Municipal Bureau of Health of Fortaleza. Community Garden: The Community Garden offers the community contact with the earth, reviving its cultural roots, stimulating the communion between nature and humans and providing a transformative pedagogical perspective. This program builds upon the community’s existing knowledge of farming and gardening in order to teach all members of the community the skills needed to take care of the earth. In the garden, the community engages in occupational therapy activities and Live Pharmacy (Farmácia Viva), in which they produce medicinal syrups, soaps and shampoos. 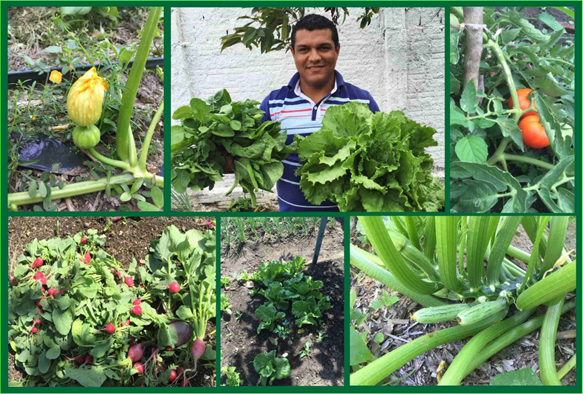 Community Garden partners with the Clóvis Beviláqua Forum, which is the Ceará Court System, to provide community service opportunities as an alternative to incarceration for judicial offenders. Additionally, the Community Garden partners with the Pharmacy Department of the Federal University of Ceará (UFC) in growing lippia alba (lemongrass), which is the principal ingredient in natural antianxiety medications. This provides people with an alternative medication to avoid potential dependence on anxiolytic drugs. The Bishop Franco Masserdotti AME House: AME House (Art, Music, and Performance) welcomes those with a penchant for creative forms of expression. In 2008, AME House was designated by the Brazilian Federal Ministry of Culture as a Cultural Landmark. The House includes the Knowledge Exchange Reading Hub (Troca de Saberes) and provides the Bom Jardim community a dynamic space for meeting, listening, citizenship, leisure and culture. Workshops on handicrafts, typing, guitar, drums, piano, flute, percussion, violin, organic cardmaking, painting, mosaics, theater, cinema, and audiovisual tools are regularly offered. AME House offers art therapy to members of the greater Fortaleza region, as well as the Bom Jardim Community CAPS Program. The objective of the AME House is to expand community members´ multiple intelligences and increase their sense of agency and self-esteem through the development of marketable skills. 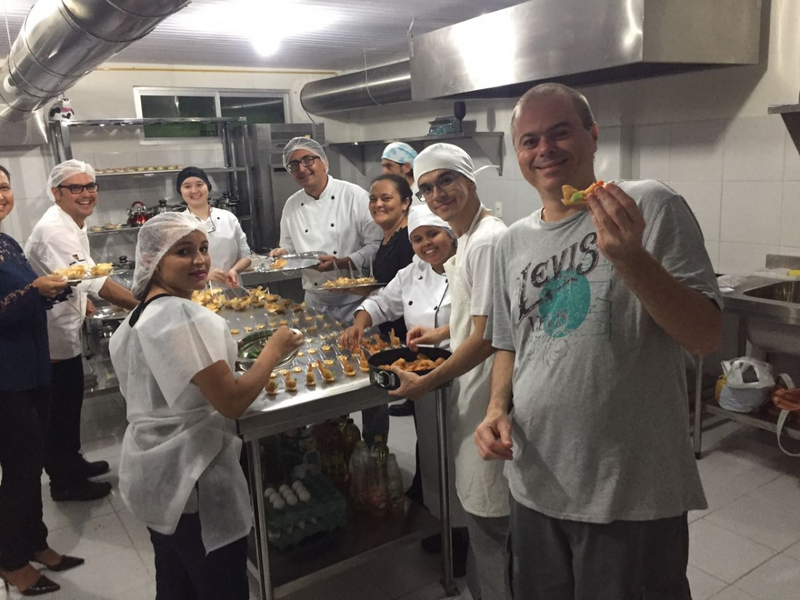 Culinary Arts School: The Self-Sustainable Culinary Arts School trains community members as professional chefs, furthering the MSMC´s mission of creating opportunities for socio-economic inclusion and the development of multiple intelligences for community members. The Culinary Arts School utilizes the alternative energy sources, such as solar and water power, to sustain the agroecological production of organic vegetables, fruits, poultry, fish, and eggs. Healing the healer: Every three months, members on the implementation team spend a week engaging in therapeutic activities. The autopoiesis process improves the network of national and international partner collaboration and helps to achieve sustainability. Political situation and governmental issues that reduce the budget available for community mental health projects. Religious fundamentalism; stigmatising attitudes towards people with mental health problems are widespread and commonly held, especially about the causes of mental health problems, such as demonic or spirit possession. The Community Systemic Approach socio-therapeutic technology can be replicated in many other mental health institutions that focus on creating social inclusion and empowerment. 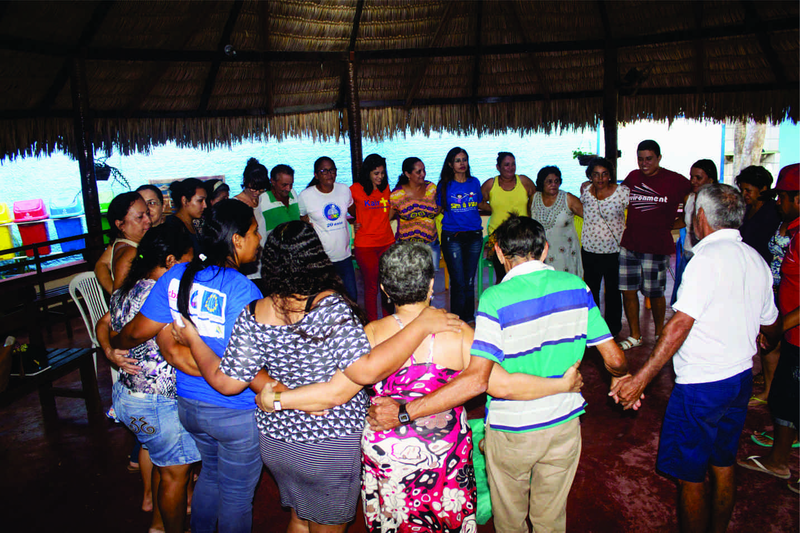 This approach was developed as a community paradigm and has been formally incorporated by the Mental Health Department of the municipal government of Fortaleza through the use of various integrative socio-therapeutic groups and through the certification of mental health professionals in this approach. There are plans to expand this training and certification nationally and internationally to strengthen relationships with strategic partners in Brazil, other Latin American, African and Asian countries. A monitoring and evaluation specialist was contracted by the European Union to evaluate the program4. A Results-Oriented Monitoring (ROM) methodology was implemented through a qualitative research study to evaluate the innovation. Since the Community Systemic Approach’s impact has significantly grown over the past several decades, the cost of implementation is currently estimated at $1.2 million annually for service delivery on around 14,500 beneficiaries. 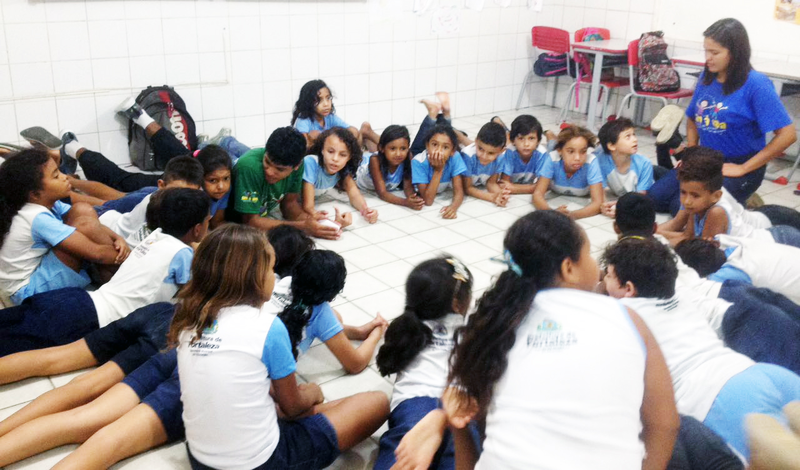 The Community Systemic Approach’s beneficiaries come from a large number of communities in Fortaleza and its surrounding areas and its impact is continuing to grow globally at a fast pace. The approach contributes to the humanization and deinstitutionalization of mental health care services that have historically victimized people through inadequate attention, misconceptions and prejudices. 1. De Jesus Mari, J. (2014). Mental healthcare in Brazil: modest advances and major challenges. Advances in psychiatric treatment, 20(2), 113-115. 2. Maturana H & Varela F. (1997). De máquinas e seres vivos - autopoiese: a organização do vivo. 3.ed. Porto Alegre: Artes Médicas. 3. Bonvini O et al (1996). Healing the illness or Cure the Disease? Toward a Bio-Psycho-Socio-Spiritual approach in a multi-ethnic context. World Congress of Psychiatry, 2(10), 132.